October 30, 1938 Manuel Orlando Naranjo was born to Gregorita Medina of Talpa, New Mexico and years later was adopted by Tomacita, a cousin of Gregorita, and Vences Naranjo of Chimayo, NM. August 27, 1966, he and Kathleen R. (Kathy) Sass were married in Ida Grove, Iowa. Manuel graduated from Santa Cruz High School in Santa Cruz, NM. 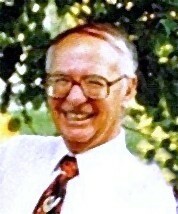 In 1961 he graduated from Morningside College in Sioux City, IA majoring in Spanish, German, English and Education. 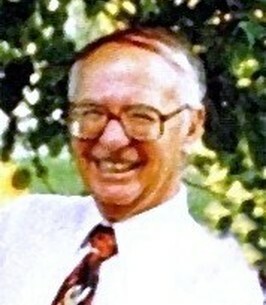 In 1965 he received his Master’s degree in Spanish and Education from Emporia State University in Emporia, Kansas. In the 1970s he studied for his Ph.D. at the University of Colorado in Boulder, Colorado where he completed all course work and exams. The majority of his adult life was spent teaching the Spanish language, Spanish literature courses, Chicano Studies, Mexican history, and Mexican-American folklore, literature and poetry. He taught at University of Northern Colorado in Greeley, Metropolitan State College in Denver, Front Range Community College in Longmont, University of Colorado in Boulder, University of South Dakota in Vermillion, and Ida Grove High School in Iowa. During his adult life he and his wife purchased and operated the Marlboro Inn and Restaurant in Walsenburg, CO from 1978 – 1988. Manuel retired in June 2014. Manuel believed strongly in education and his priority was education for his family. His passion was teaching, especially Spanish, Mexican and Latin American literature. He was conscientious about his work and dedicated himself to the fullest. Manuel was very diplomatic, open-minded, and accepting of people from different backgrounds. He had a positive attitude and a sense of humor that persevered throughout his life, even when his eyesight was failing him. Manuel enjoyed vegetable gardening and growing fruit trees. He enjoyed working on his rental properties, especially when grandkids came to help. Some of his interests included following the political and financial worlds. Manuel is survived by his wife, Kathleen Naranjo, daughter, Lisa D’Ambrosia and her husband, Joseph of Littleton, CO, son, Marcos Naranjo of Greeley, CO, daughter, Ana Naranjo of Parker, CO, and 8 grandchildren: Joe, Gabe, Marian, James, Alivia, Nate, Addison, and Zane. He is also survived by his brothers, Felix Medina and wife, Urbana of San Jose, CA, Adolfo Medina and wife, Joyce of Taos, NM, and sister Becky Espinoza of El Prado, NM. Manuel’s sister, Margie Lucero of Torrance, CA, passed 11 days after Manuel. On Wednesday September 12, 2018, Manuel passed away at the age of 79 in Greeley, CO. Celebration of Life is September 29 in Greeley.